The Navy’s Japan-bound carrier — part of an elaborate three nuclear carrier swap — has entered the Western Pacific, the service announced over the weekend. 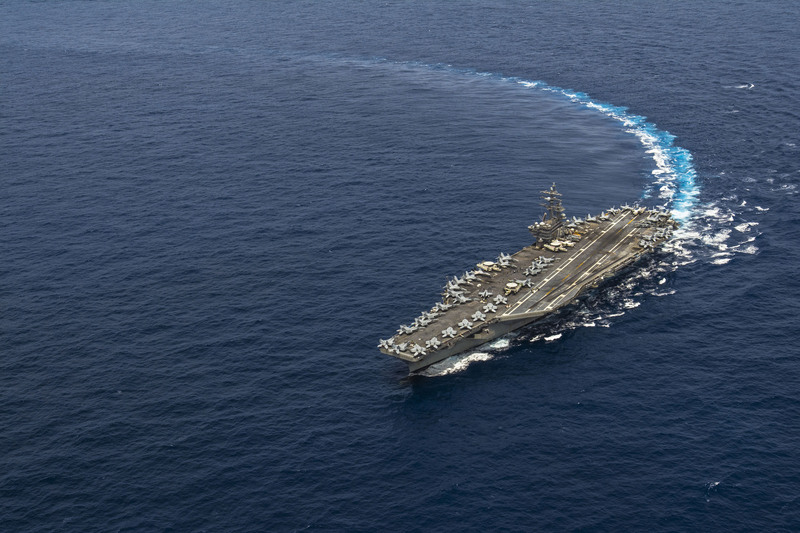 Entering U.S. 7th Fleet, USS Ronald Reagan (CVN-76) is a step closer to assuming its new role as forward deployed U.S. carrier based out of Yokosuka, Japan — taking the place of USS George Washington (CVN-73). “Ronald Reagan’s forward deployment to 7th Fleet demonstrates the U.S. commitment to the region and our allies,” said Rear Adm. John Alexander, commander, Battle Force 7th Fleet, said in a statement. The carrier departed San Diego, Calif. on Aug. 31 as part of a three-ship-shuffle that movesWashington to the East Coast to undergo a mid-life refit and refueling and moves USSTheodore Roosevelt (CVN-71) from Naval Station Norfolk, Va. to take the place of Reagan. Washington left earlier this month, four days late, ultimately bound for Newport News Shipbuilding for a multi-billion refueling and complex overhaul (RCOH) on the heels of USSAbraham Lincoln (CVN-72). As part of the swap the crews of all the carriers will largely stay in place while the ships move. “Approximately two-thirds of each crew will remain in their original homeport while one-third will remain with their ship, including reactor department personnel and aircraft carrier commanding officers, executive officers and command master chiefs,” read a Navy statement. According to estimates from the Navy, the swap will save the service about $41 million in moving expenses for the crews.